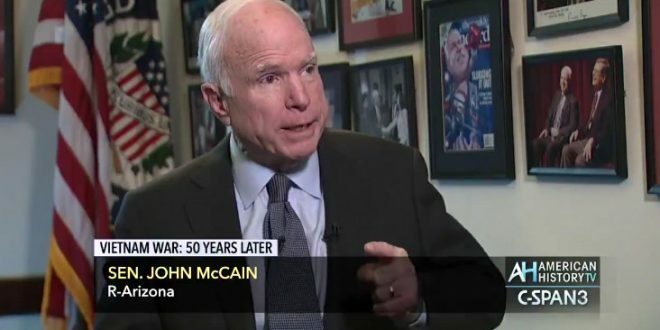 McCain Slams Rich "Bone Spur" Draft Dodgers [VIDEO] - Joe.My.God. “One aspect of the conflict, by the way, that I will never ever countenance is that we drafted the lowest-income level of America, and the highest-income level found a doctor that would say that they had a bone spur,” McCain told C-SPAN in an interview that aired Sunday. “That is wrong. That is wrong. If we are going to ask every American to serve, every American should serve.” Trump deferred the draft five times, four while he was in school and the fifth for bone spurs.